Unf. 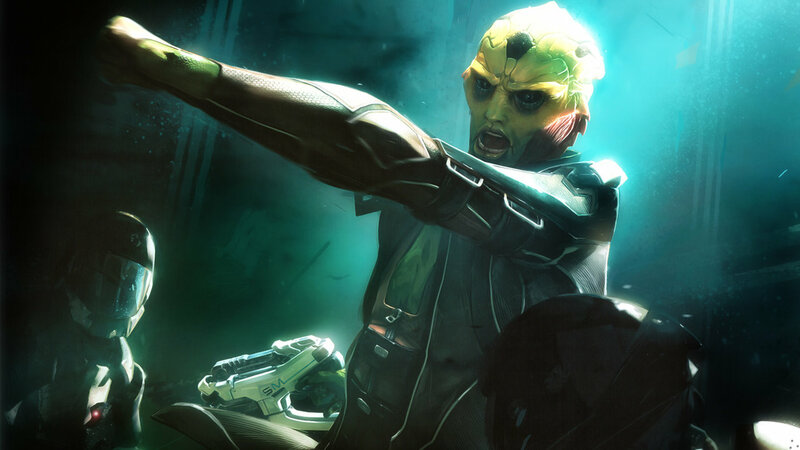 Thane has to be one of the sexiest aliens I’ve ever seen. His voice is deep, raspy, and poetic, making him a big favorite for FemShep relationships across the globe. Although Thane is very clearly a dangerous assassin, he is still very caring and generous. Much like Ezio in the Assassin’s Creed series, Thane prays for his victims before he swoops in for the kill. He firmly believes his kills are in the best interests of the galaxy, and has a good idea of the differences between right and wrong. His sacrifice in Mass Effect 3 also makes him one of the most memorable squad members. We already hated Kai Leng, but when he stabbed Thane, it enraged us all. I’ll never forget screaming at my friend to not look at me when I cried uncontrollably as Kolyat and Shepard read Thane his final prayers. As a squad member: I used Thane frequently in Mass Effect 2. His skill-set reminded of a biotic Garrus.